Getting the right blend of PlayStation 4 accessories could blow your gaming experience wide open. It could change how you game your PlayStation 4. It could even possibly get spiritual, who knows. Anyway, there’s simply nothing like it. 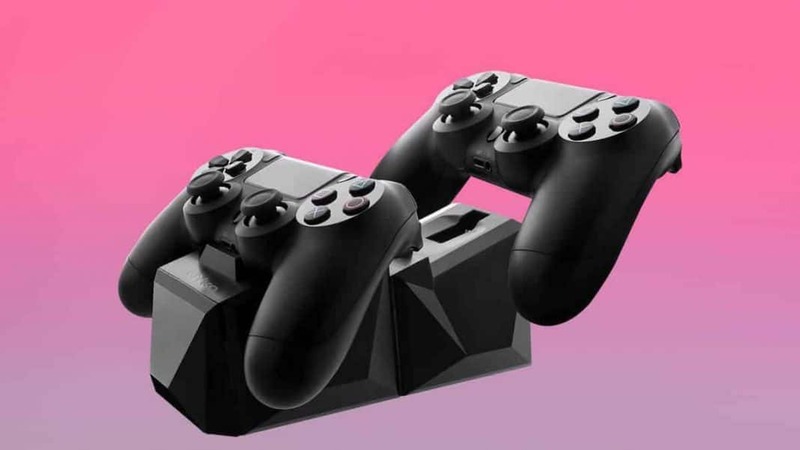 Whether it’s merely making gaming time move a little smoother by getting things right on the practical side such as charging docks, controller wires or HDMI cables. Or, using PlayStation VR headsets to take on gaming in a whole different way, it’s always well worth it. The icing on this wonderful cake comes when you’re able to get most of the accessories you want on the cheap. But don’t fret, most of these accessories below won’t break your bank TOO much. If anything, they’re total value for money. There’s no better way to upgrade your Sony experience other than getting a few new toys to accompany the console. 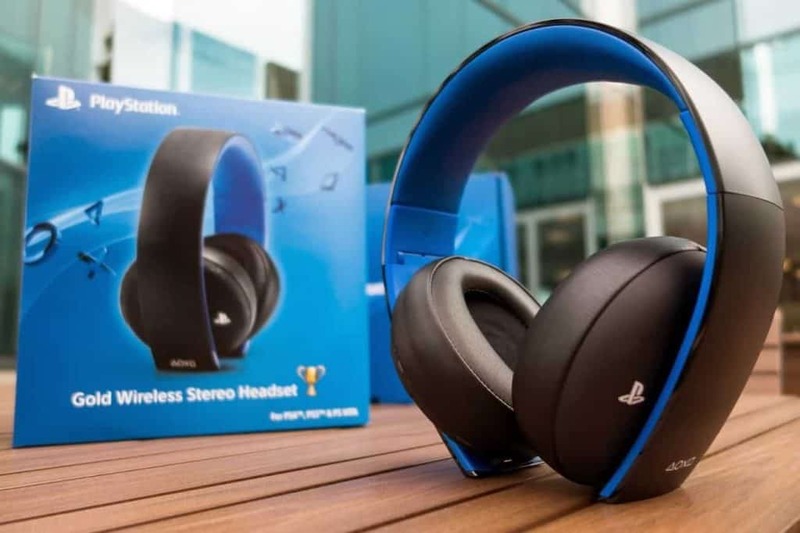 This wireless stereo headset designed by PlayStation themselves is built with audio outputs that are rich with 7.1 virtual surround sounds. They’re a quality headset to say the least. They’re also accompanied by a noise-canceling microphone. Okay, there may be several other headsets on the market that are much cheaper than a pair of these, however, they’re equally of lesser quality. Oh, not to forget, their compatibility is not only limited to the PlayStation 4. They’ll work well with your PS3, your mobile devices and your home computer as well. Sony developed this headset with particularly sound quality and performance in mind. The companion app it comes with ensures fine-tuned settings as well as the best calibrations. As revolutionary as the PSVR Headset may seem, it wasn’t a pioneer as such in its realm. However, it managed to stand out by being among the first headsets that were mainstream-friendly as well as cheap and could still provide high-quality VR gaming experiences. It’s a very recognizable headset with its white and black color scheme alongside its LED lights. Its build quality conforms to their perfectly high standards most have come to expect when it concerns Sony gaming. 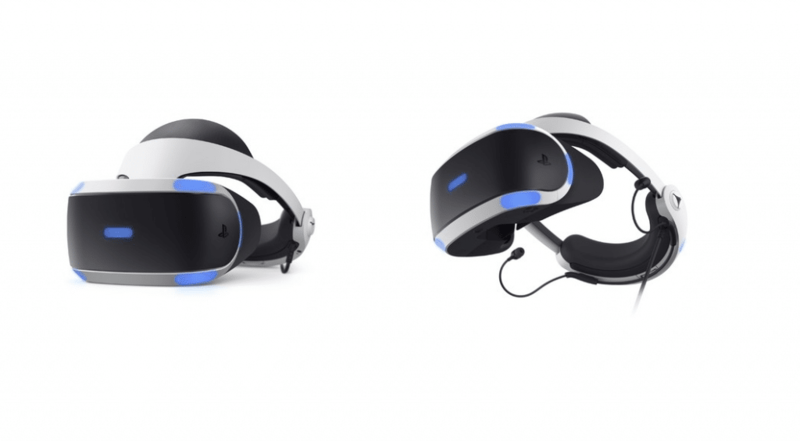 When functionality is concerned, the PSVR comes with a full-blown HD display that utilizes OLED tech which supports 120Hz and 90Hz refresh rates. Also, instead of plugging it into the PS4 console you plug it into a dedicated processor unit that accompanies it. Another official Sony product makes it to our list. 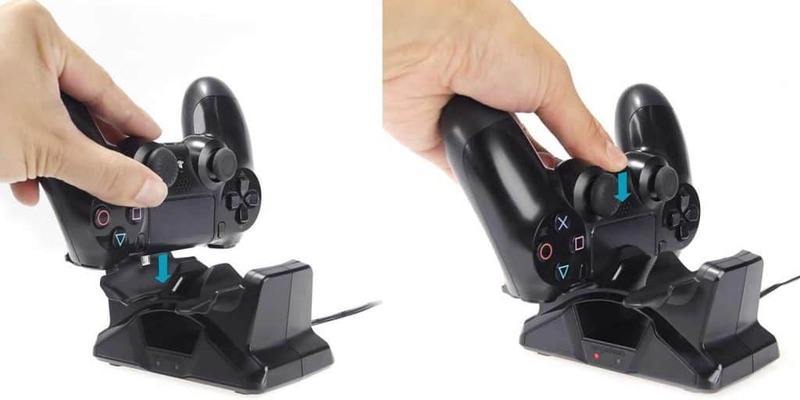 This DualShock 4 charging device has been designed and manufactured by Sony themselves as well. Its sheer high-quality build, as well as its aesthetic choices, make it pretty clear that its none other than Sony that produced this device. Its matte black exterior finishing combines perfectly with the default PS4 as well as the default DualShock 4 (black). Be it a pro, a slim or even the original console. At any given time it has the ability to charge two controllers simultaneously via its two extension charging ports. 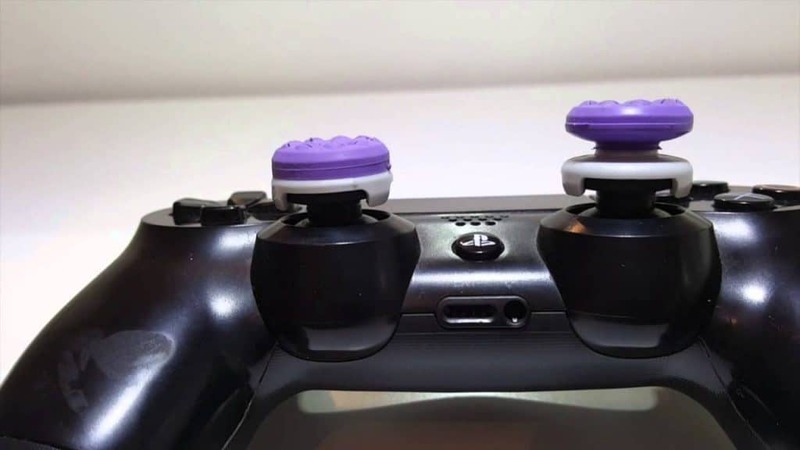 Both are magnetized to help easily keep the controller in place and have been designed with flexibility in mind. It also uses its own AC adapter when you need to plug it into the power socket. It doesn’t need to take up the USB ports on your console. Honestly, the only bad thing about this product is that it’s a little pricier than its other 3rd party competitors. When you look at the several different kinds of Kontrol Freek controller nubs at first glance you’ll probably write them off as being just another one of those weird gimmicks. However, when you actually try them on you’ll notice how much of an impact they make in your gaming. Especially in one of those many action-packed shooter games. The products from these manufacturers are small nubs that are placed on top of your PS4 controller’s analog sticks. The idea behind them is that they offer your analog stick a little more travel by adding a bit of height to them. As a result, you’re awarded finer control over your analog stick due to the addition of those few millimeters. It’s hard to fully understand until you get the chance to try them out yourself. For those of you that might be interested in a little extra grip on your PS4 controller analog stick, look no further. Silicone thumb grips from Kkone should now be your ideal choice. They’re a great choice if we do say so ourselves. They’re designed to perfectly fit most mainstream controllers on the market. Compatibility is not something you’ll have to worry about too much with these products. 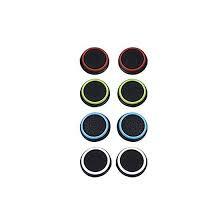 Each package comes with eight thumb grips (4 pairs). All of them are the same aside from the different outer ring colors. Their patterns are all identical and this is what ensures they all have a firm grip on them. They also help provide a more tactile feel when using the controller’s analog sticks. Unfortunately, the one bad thing about these products is that they are not exceptionally long-lasting. If they were a little more durable they’d be perfect. There’s no need for you to be helpless while your gamepad controllers are charging. 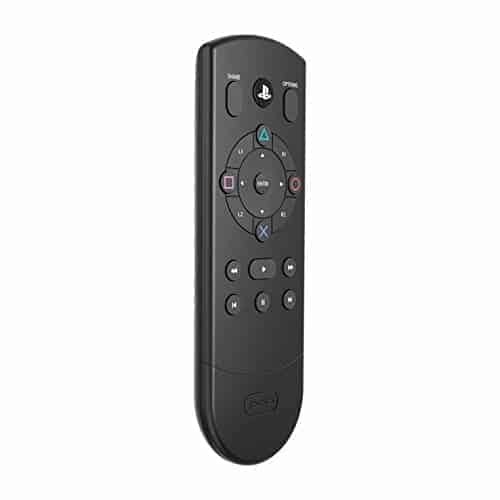 Control your console with this media remote. The last item on our PlayStation 4 accessories list might be the most exciting yet. Sometimes you want to use your console without game controllers cluttered all over the floor. These are the occasions where these media remote controllers shine. They simply offer pure convenience. It not only functions pretty well with PlayStation 4 consoles, but it’s also relatively cheap as well. It uses Bluetooth connectivity software to communicate with the PS4 console. Now you know the tools that’ll help you upgrade your PS4 gaming experience. Change the way you play PlayStation and take things to the next level. Above are the top PlayStation 4 accessories in Gadget Gang’s point of view. Hope you’ll agree with us as well. Anyway, get you some new gear and take your PS4 for a spin. I assure you, your gaming will never be the same again.